Zelda II: The Adventure of Link is now available for download from the 3DS eShop at the cost of five bucks. The game is a dedicated side-scroller, though it reverts to an overhead view when exploring the overworld. In addition, whilst exploring the overworld, you will encounter random battles which will send you into into side-scrolling mode to fight some random enemies. The game even has some RPG elements such as gaining experience and levels from defeating monsters. True, in hindsight, this is a very strange format for a Zelda game. But remember that AoL was only the second Zelda game ever made, and the core features of a Zelda game were not nearly as well established back then. Besides, it is still an enjoyable classic game and an important part of the history of the series. 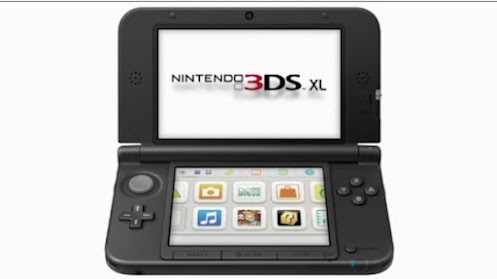 The Nintendo 3DS XL was recently announced, but it won’t be out for a long while yet. Still, it should give you plenty of time to get much enjoyment out of your old 3DS. I imagine some fans would have been annoyed if the XL version had a release date not too long from now, given the frustration many Nintendo fans who had already bought 3DS’s expressed over the sudden 3DS price cut. Also, if you live in America, then rejoice – you might have gotten OoT 3D after Europe, but now you’ll get the 3DS XL one month earlier than them! There appears to be no official confirmation of the RRP of the 3DS XL yet, but it looks like sellers will be offering it for about $250-$350 when it first comes out. Some sellers have announced their prices. The cheapest so far has been from GameStop and Zavvi. At a recent Nintendo Direct conference, some interesting announcements were made. Here’s a summary of them for you! Nintendo announced last year that they were developing a new Smash Bros. title for the 3Ds. Progress has started on the development of the game, but only just recently, so it looks like we’ll be left in the dark for a while until we can see any bits of footage from the game for now. Still, it’s good to know the game has not been canned or anything, and I am certainly looking forward to playing the first ever handheld smash bros. game, especially if it has some ace online features. However, if you want to get your hands on the 3DS XL you’re in for a fair wait since it isn’t going to be released until August 19th next year! 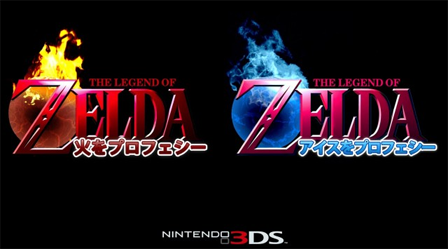 Two new 3DS dual-release Zelda games being Developed? Edit: As I suspected, the games have been confirmed fake. Explanation will be in a subsequent news post! Recently a rumour surfaced from 4chan which claims two new Zelda titles are in the making, and they could be dual-release titles (i.e. like Oracle of Ages and Oracle of Seasons). The Japanese texts on the supposedly leaked image above translates to Fire Prophecy on the left and Ice Prophecy to the right. Could it be true? Certainly, the appeal of another set of dual-release Zelda titles is great, especially since I really enjoyed the Oracles series. As others have pointed out Nintendo has been releasing duos of games for the Pokemon series ever since Pokemon Red and Blue, so there is probably a market for these kinds of games too. However, we need more evidence before we can consider the possibility of this rumour. The logos look ‘realistic’ but I’m sure there are plenty of skilled photoshop artists on 4chan as there are those with insider information from Nintendo. 4chan has proved surprisingly reliable for gaming leaks, but at the same time it is easy to spread a hoax on an anonymous site. Also, why would a game called “Ice Prophecy” feature fire in its logo? Let’s wait and see how this pans out. Posted on January 16, 2012 January 18, 2012 Author KernyCategories 3DS4 Comments on Two new 3DS dual-release Zelda games being Developed? A Japanese magazine called Nikkei Trendy has reported that Nintendo are working on a 3DS lite. 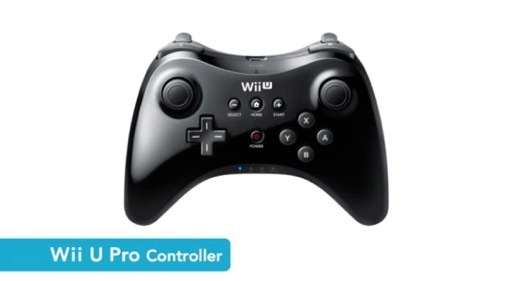 The console will have a better batter life amongst other improvements. This has not been confirmed, but will come as no surprise if it does happen. This will certainly frustrate 3DS owners who bought the console at launch, especially after missing out on the very early price cut. 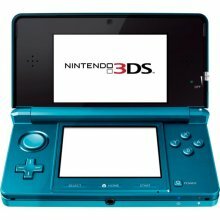 Posted on January 4, 2012 Author KernyCategories 3DS2 Comments on 3DS Lite Coming Soon? I haven’t written about Netflix yet, so I decided to produce a short guide on how to use the service on your Nintendo 3DS! Using the Netflix service is pretty easy, and doesn’t cost much at all. How much will Netflix cost me? Access to Netflix costs $7.99 per month. You can opt for a one-month free trial to see if you like the service or not. Alright, so how do I get started? Firstly, you’ll need to connect your 3DS to the internet. Turn the wireless capability switch on and go to System Settings -> Internet Settings, and enter the details for your internet connection. Then, if you haven’t already, you need to get the eShop application for your 3DS. This is really easy, and free – if you haven’t got the eShop, do a system update and the update will automatically install it on your 3DS. To perform a system update select System Settings -> Other Settings -> System Update (this option is under the ‘4’ icon). Now all you have to do is access the eShop, and select the Netflix application. It should be called “Netflix Instant Streaming for the Nintendo 3DS” or something similar. Chose to download it. You now have the Netflix app! How do I sign up for Netflix? You’ll need to go onto your computer, access the Netflix.com website, and sign up with a new account. Next, all you need to do is ‘activate’ your 3DS for your Netflix account (this comes at no additional cost). Sign into Netflix on your 3DS, and say you are an existing customer. The application will show you a seven-digit code. Go to netflix.com/activate. Login, and then enter your seven-digit code. You now have access to Netflix on your 3DS! So, it looks like Majora’s Mask 3D hasn’t been ruled out, but supporters of Operation Moonfall will have to wait a long time before they get any hint of the game’s confirmation. Ocarina of Time 3D – Ultimate Game of the Year? Nintendo of Europe have just announced that The Legend of Zelda: Ocarina of Time 3D has been nominated for the Ultimate Game of the Year Award at this year’s Golden Joystick Awards. The game is also being nominated in the “Best RPG” category (though surely the Action/Adventure category would be more relevant?). You can view all the categories and nominated games at the Golden Joystick website. While Ocarina of Time is a top game, I think it is pretty irrelevant to consider it for “Ultimate Game of the Year” in 2011. New games should only count, not remakes. I’m sure these awards would not tolerate remakes if they were much more rampant than they are now, anyway. Posted on October 12, 2011 Author KernyCategories 3DSLeave a comment on Ocarina of Time 3D – Ultimate Game of the Year?